How many people would flock to see the Grand Opening for the showroom of roofing company? 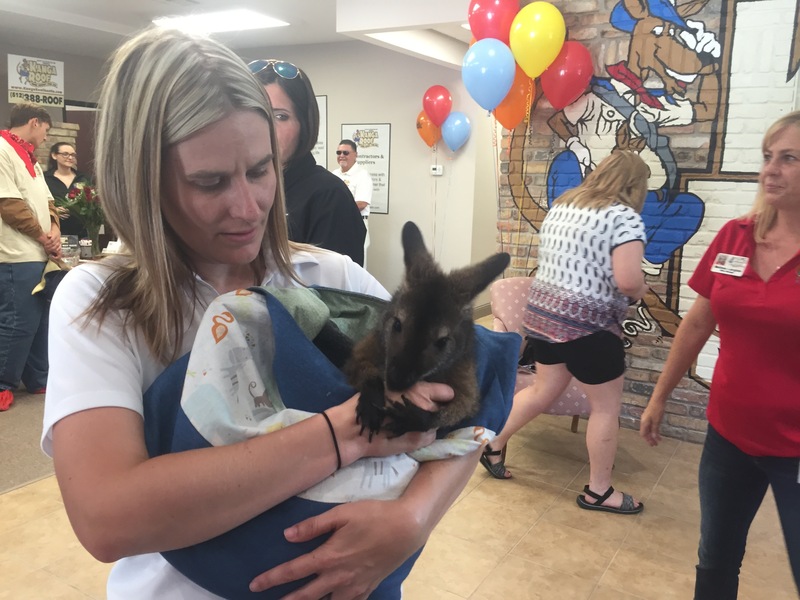 When the party features a baby wallaby, the answer is 458 men, women and children, bonding themselves to a cute and cuddly animal from a nearby petting zoo. 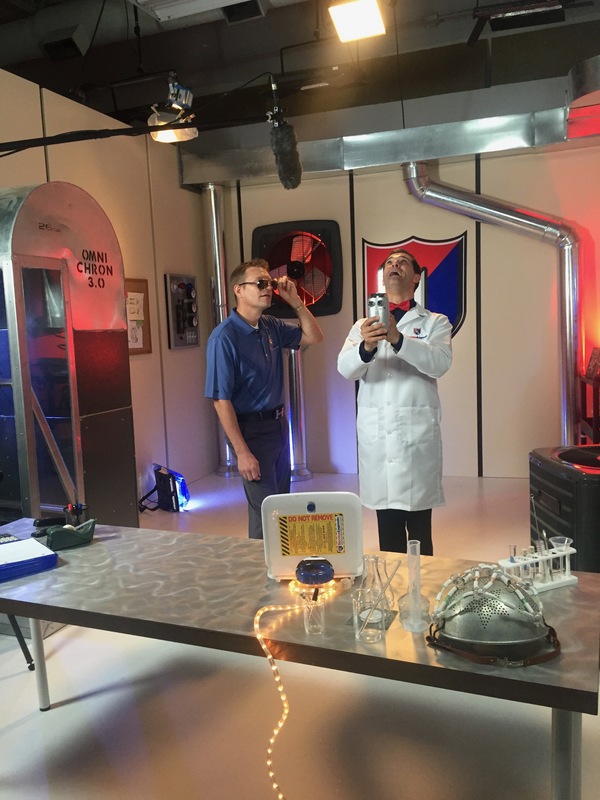 Deep in the underground lab of a heating and cooling company in Des Moines, Iowa was where scientist Emmett came up with crazy inventions to make Service Legends even more legendary. The Performance Muse not only wrote the commercials for this 10-spot campaign, she also designed the set and props, and directed talent and staging. 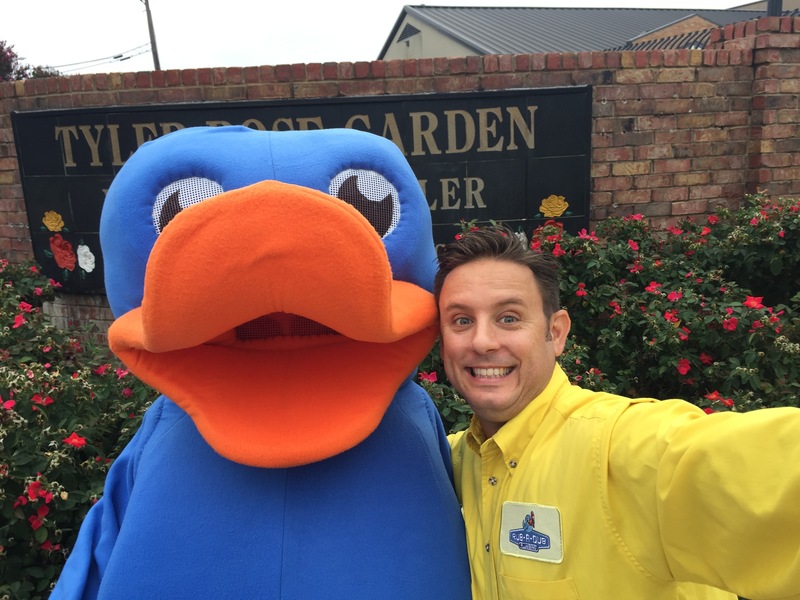 A septic company in Gun Barrel City, TX wanted to elevate its brand in order to take over the bigger (and growing) city of Tyler, TX. 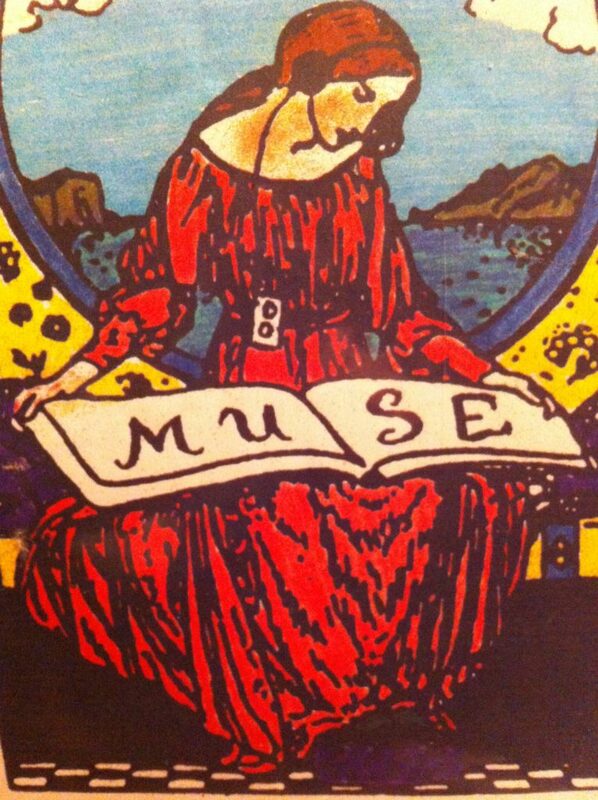 They turned to The Performance Muse for a rebrand, beginning with a new name and mascot. From there came radio and TV commercials, featuring the blue bath toy icon. In just 3 years, the company has quadrupled its profits, earning waves and smiles each time their truck passes by. Try THAT with a septic company! For three years, the Performance Muse assisted in the coordination and staging of Gilmore heating & Air's Red Carpet Black Tie Ball, a fund-raiser for the UC-Davis Children's Hospital. 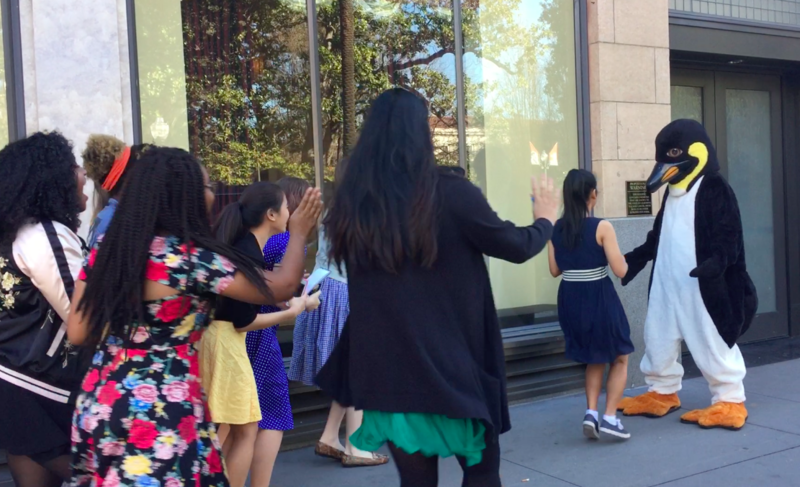 From the design of a specialty cocktail menu based on Best Picture nominees, to the hiring of exuberant youngsters armed with autograph books, ready to mob party-goers as they arrive to walk the red carpet. 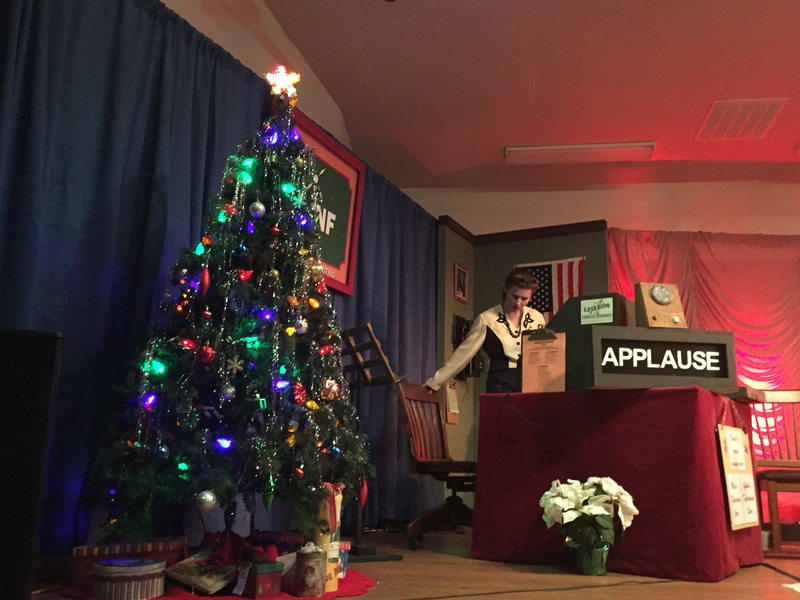 Penfold Theatre's production of "Miracle on 34th Street - A Live 1940's Radiocast" allowed The Performance Muse to add style and content that brought the audience into the 1940's from the moment they stepped into the performance space.